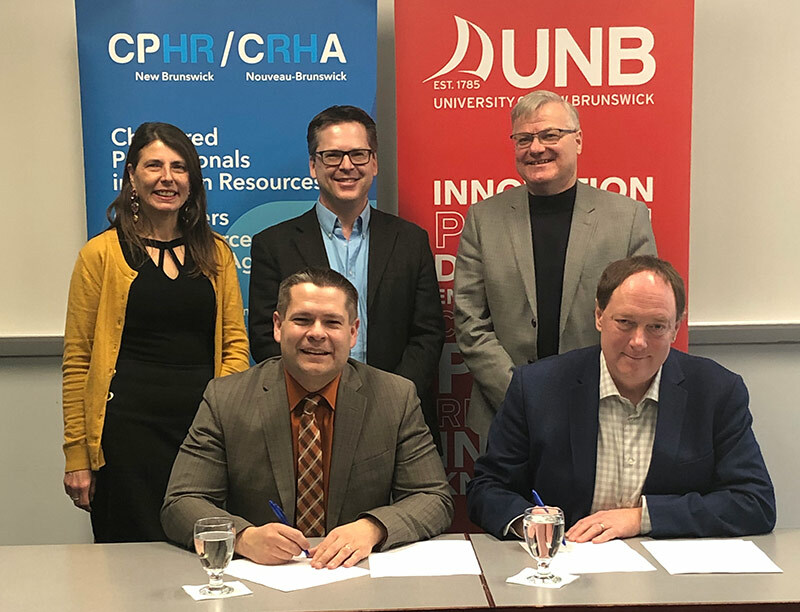 The University of New Brunswick has reached an agreement with the Chartered Professionals in Human Resources New Brunswick (CPHRNB) to provide accreditation for students enrolled in the bachelor of business administration program on the Saint John campus. The accreditation means that graduates of UNB Saint John’s BBA program, with a major in human resources, will be conditionally eligible to waive writing the National Knowledge Exam. This not only applies to current students but also to alumni of the program who have graduated within the last five years. As part of this agreement students and recent graduates will be able to waive writing the National Knowledge Exam, which assesses one’s understanding of the CPHR Competency Framework. The National Knowledge Exam is a crucial step in receiving the designation of CPHR, which signifies that an individual is of the highest standard of HR professionals. The CPHRNB was established in October 1996 to meet the needs of human resources professionals in New Brunswick for their growth and recognition. The association’s mandate includes attaining recognition as a resource on employment issues, as well as promoting and gaining acceptance of the human resources field for the distinct body of knowledge it provides in business. Its purpose is to promote and encourage members to develop and maintain a professional standard of knowledge and proficiency in its occupational field. Photo: Front row (L-R) Luc Page, CPHR; Rob Moir, UNB. Back row (L-R) Shirley Mitchell, CPHR; Morrie Mendelson, UNB; Robert MacKinnon, UNB.